Over the past two seasons, Andre Roberson has proven to be a pivotal part of the Oklahoma City Thunder team, thanks to his defensive efforts which earned him a spot on the 2017 NBA All-Defensive Second Team. The former Colorado Buffaloes player, who also earned the Pac-12 Defensive Player of the Year award during his time in college, will be looking to build on his accomplishments to someday earn the NBA Defensive Player of the Year Award. 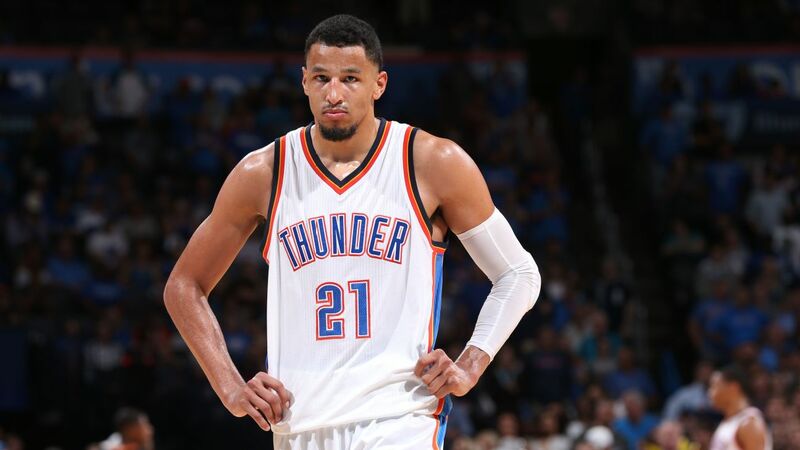 André Roberson was born and originally named Andre Lee Roberson, the third of seven children to Lisa and John Roberson, on the 4th of December 1991 in Las Cruces, New Mexico. While growing up, he enjoyed playing a number of sports but it was, basketball that he decided to focus on, following in the footsteps of his father. As a student at Karen Wagner High School, André Roberson became a standout basketballer, averaging 15 points, 12 rebounds and 1.7 blocked shots per game in his senior year. After graduating from high school in 2010, Roberson enrolled at the University of Colorado at Boulder to play for the Buffaloes. In his freshman year, he averaged 6.7 points and 7.8 rebounds in 38 games from the bench. He became a starter on the team in his sophomore year, a move that probably allowed him to up his game as he averaged 11.6 points and 11.1 rebounds (third-highest in the country) per game in 36 games, earning himself First-team All-Pac-12 honors. In his junior year, Roberson averaged 10.9 points and 11.2 rebounds (second-highest in the country) per game in 31 games. He was subsequently named the Pac-12 Defensive Player of the Year as well to the First-team All-Pac-12 selections. At the end of the year, André Roberson announced he was forgoing his senior college year to enter the 2013 NBA draft where he was selected by the Minnesota Timberwolves with the 26th overall pick. Roberson, however, did not get to play or even discuss terms with the Timberwolves as his rights were later acquired on draft night by the Oklahoma City Thunder. The basketball player went on to play in that year’s Summer league where he put in an impressive performance that earned him a contract with the franchise. In his rookie year, he split his time between the Thunder and the Tulsa 66ers of the NBA Development League. He ended up playing in a total of 40 NBA games, averaging 1.9 points and 2.4 rebounds per game. To date, André Roberson’s best season in the NBA came in the 2016-17 campaign where he started in all 79 games he played in, averaging career highs in points (6.6 ppg) and rebounds (5.1 rpg) before going on to be named in the 2017 NBA All-Defensive Second Team. As it is most at times the case with professional athletes, André Roberson got his athletic genes from his parents who were both All-Americans in college in their respective sports. His father, John Roberson, attended Southwest High School in San Antonio, Texas before enrolling at New Mexico State where he was a member of the men’s basketball team. Following his college career, he embarked on a 12-year long professional basketball career overseas, playing in countries like Australia, Sweden, Germany, and Canada. His mother, Lisa Roberson (nee Whiteshell), on the other hand, attended Zionsville Community High School, in Zionsville, Indiana, where she was a standout athlete in track, volleyball, and basketball. She then went on to attend New Mexico State University where she was a member of the school’s women’s volleyball team. Andre Roberson is in a relationship with NBA 2KTV host Rachel DeMita. The Ohio-born 5 feet 8 inches tall television queen, who has a degree in Journalism and Performing Arts, has also worked for ESPN, NBA TV, Bleacher Report, and Fox Sports Digital. Before her tv career, DeMita played college basketball, notably being a McDonald’s All-American nominee which earned her a future participation in the 2017 NBA All-Star Celebrity Basketball Game in New Orleans. Rumors of the couple possibly being an item had been circulating for a while, most especially after DeMita tagged Roberson’s Instagram handle in one of her posts and a number of her Instagram stories for the viewing pleasure of her over one million strong followers. Roberson went on to return the favor by posting a picture of the both of them on his own Instagram page, a move that made their relationship official, at least in the crazy world of social media. Andre Roberson’s height is listed at 6 feet 7 inches (2.01 m) while he is said to weigh about 210 lb (95 kg).